Rest assured every purchase you make with Extra Cash Pawn is the right one! Not only do we stand behind our products, we also promise the value you are getting is amazing. Purchase an Extended Service Program today for as low as $4.99 and watch the benefits pile up! 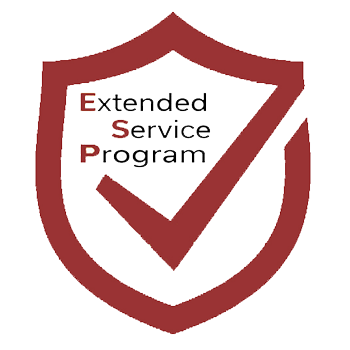 ESP is our Extended Service Program for items in our store locations. The Extended Service Program protects your purchase for 1 month! Extra Cash Pawn tests all merchandise before it is displayed for sale in our showroom and again, by request, before you leave with your purchased items. When you have Extra Cash Pawn’s ESP, you have the peace of mind knowing that you have an extra level of protection on your purchase, so you can be confident that your purchase will keep you satisfied. Normal Use Coverage: If your product fails to operate properly due to normal wear and tear, bring it back for full credit towards another item. Replaceable: If the covered product fails to operate properly, we will pay the cost to repair or replace your item with a similar item. Transferable: Give the product as a gift and the ESP will transfer with the item. The Extended Service Program is only 10% of the purchase price of the covered item. The minimum is $4.99.